just another post about a perfect dress! this one actually belonged to a friend who decided she didn't want it anymore (?!) so i generously offered to unburden her. 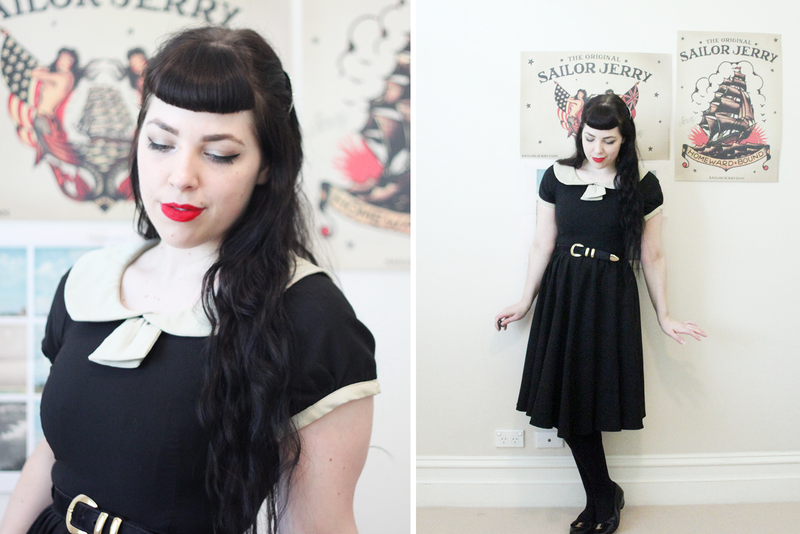 the belt and shoes were both op-shopped and my favourite hair accessory of all time, this pretty little crescent moon was from ebay. my lipstick is MAC's ruby woo which i wore for the first time in a while today and completely fell back in love with it. aww, thank you! i have no idea why she wanted to give it away but i was happy to take it off her hands, haha. So nice of you to take it off her hands ;) It's so perfect for you, it's a lovely dress! That crescent moon is giving me some intense Sailor Moon vibes, in the best way. It's really striking, especially with your lonnng hair (very jealous, by the way). Ahh, the dress is PERFECT on you! 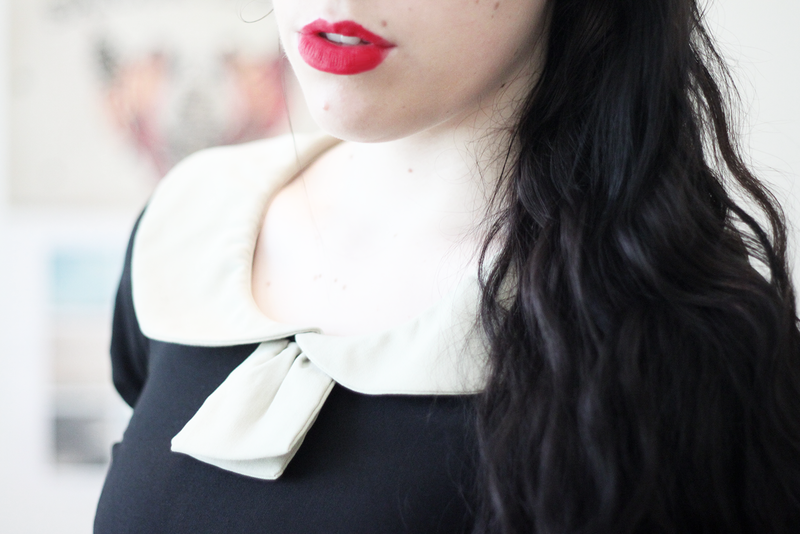 I love the little moon clip and red lips too! Ruby Woo is THE one when it comes to red, right? You look gorgeous in that dress :) Keep it! You are so adorable in this beautiful dress! 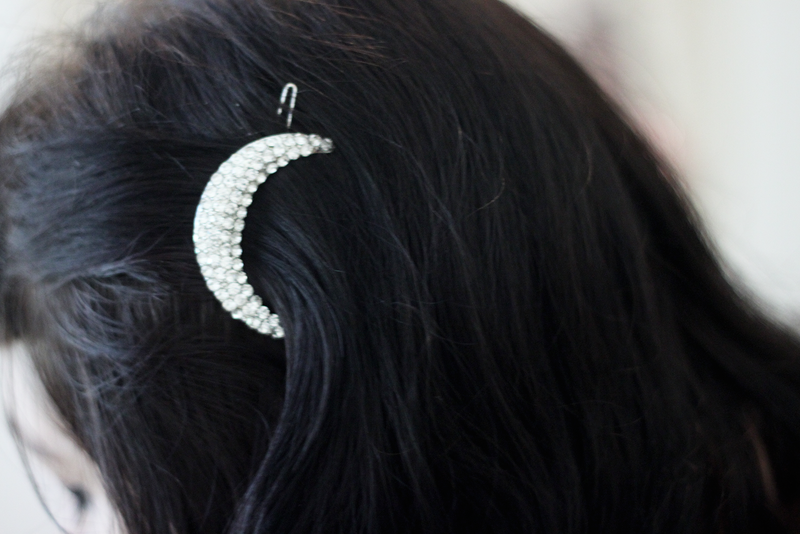 Love the crecent moon hair slide too. Love your make up with this! love that look. suits you so well! How are you SO stunning?! I'm dying over your lip color, your hair piece, and of course this beautiful dress. You look so amazing! Your dress is amazing and even though it is still 2 weeks till October, I am thinking this is the perfect dress for the witching month. Sweet, but dark at the same time. You look just beautiful. And good ol' Sailor Jerrys! That dress is so beautiful on you! I can't believe anyone would want to give it up, but I'm glad you got it!! Just lovely. ah, the moon pin here! i am so in love with it! You're so gorgeously pale! I love the outfit, looks great on you babe! I love that you "unburdened" her with it! 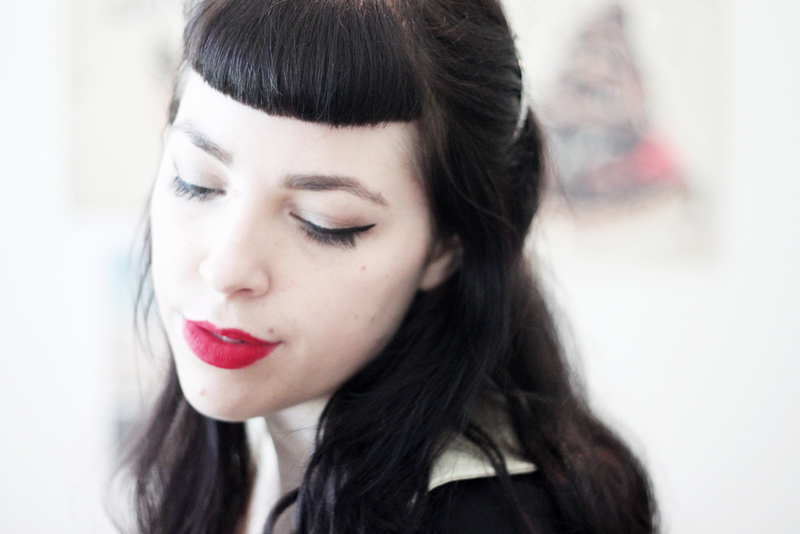 Ruby Woo is easily my favourite shade of MAC lipstick, I'm all about the matte. This dress is perfect on you. And Ruby Woo is perfect for all occasions. dress is so amazing, I love that lentgh! and you look so adorable! You look like someone novels are written about. Like a mystery who should be walking alone in the moors. I love this look on you! You gorgeous creature. You look like you belong in a movie. My dear, you are a vision of loveliness. So serenely pretty, elegant and strikingly beautiful. I adore the palette of silver and black for autumn (it's actually going to be the star of my next edition of Vintage Fashionista Friday in October) - it speaks of everything from full moons to frost kissed sidewalks after the sun sets. *PS* Thank you so much for your wonderfully nice comment this weekend. 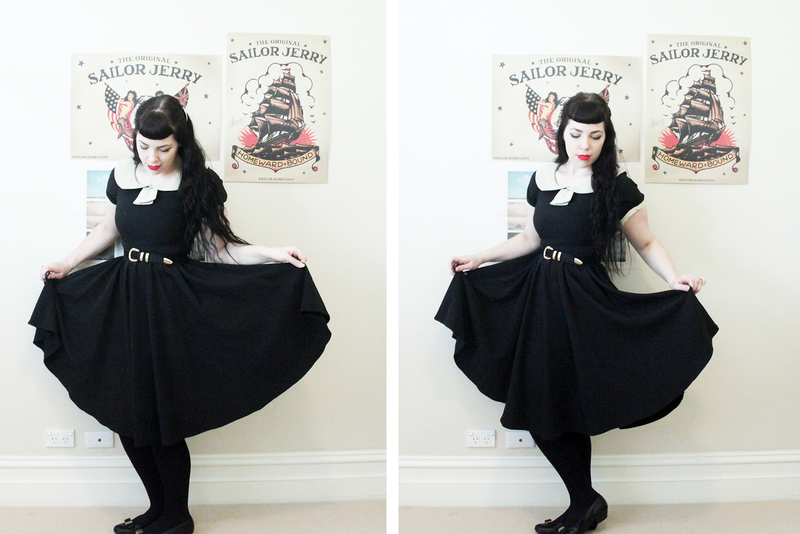 I completely agree - birthday dresses that you treat yourself too often end up being the most treasured in your closet. i love your dress! i saw it several times on some blogs and i tried it on in green... can't remember the label. tara starlet? it's so beautiful. it fits you like a glove.